Jignesh Shah blazed like a meteor and burnt out like one. This entrepreneur, who could have been a sterling exponent of Prime Minister Narendra Modi’s “Make in India” program, aimed to take commodities trading online and took on institutional forces such as the National Stock Exchange (NSE). However, in a surprising twist of fate, he was done in by challengers and arrested on May 7, 2014. It all started in 1988 when Shah started Financial Technologies India Limited (FTIL) and two commodity exchanges—MCX (Asia’s second largest) and National Spot Exchange Limited (NSEL), which was India’s first electronic spot exchange. He began trading in 2008 and did so well that he set up exchanges in Singapore, Bahrain, Dubai, Mauritius and Botswana. Problems started when MCX decided to take on the NSE-promoted commodity exchange—NCDEX, a competitor—thereby challenging the primacy of NSE. A bureaucrat even expressed concerns at the declining market share of NCDEX in comparison to MCX, suggesting that this raised suspicions that NSE and its subsidiaries were under government protection and patronage. Meanwhile, NSEL too did very well. But irregularities were found in it and in 2013, a payment crisis hit it, leading to the eventual loss of `5,689.95 crore for investors and Shah’s arrest. However, on August 22, 2014, Shah got bail from the Bombay High Court after three months in custody. There is now a move to merge NSEL with FTIL so that the resources of FTIL can be used for settling the liability. So how did the entrepreneur, who was once in charge of BSE’s online trading, get embroiled in this mess? Has the Economic Offence Wing (EOW) of Mumbai Police been able to find any money trail against FTIL or Shah? Read on. If things had gone Jignesh Shah’s way, the billionaire would have been the Czar of Exchanges, with his presence all over the world. With his business acumen and smart moves, he was riding a crest from which few could have toppled him. But then, that was his mistake. As people in power zeroed in on him, the fall was quick, surprising and meteoric. For Shah, FTIL was the realization of a dream for which he had worked hard for over two decades. This was his baby—Exchange Square, which housed MCX, Asia’s second largest commodity exchange, and its stock exchange, MCX-SX, whose license he had procured after a long-drawn-out legal battle. Till fate played a cruel joke on him. Today, Shah is a resigned man. His life’s work of starting exchanges and robust financial institutions is in a shambles as he is entangled in the crosswires of the government and a slew of regulatory agencies. Those who sympathize with Shah believe that the NSEL crisis was a convenient handle to bring to heel Shah and the parent company of his exchanges—FTIL. For starters, Shah was thrown out of his exchange ventures, such as MCX, MCX-SX, IEX and four overseas ventures by the Ministry of Consumer Affairs on the advice of Forward Markets Commission (FMC). There is now evidence that the Ministry of Corporate Affairs (MCA) and FMC are honing in on FTIL, whose new board of directors was introduced in November 2014. Both are pushing for the supersession of FTIL’s board and declaring its directors as “not fit and proper” as they are opposing the proposed merger of NSEL with FTIL. The matter is currently in the Bombay High Court. The new board, which took over the reins in November 2014, now includes luminaries, such as Venkat Chary, former chairman of FMC; A Nagarajan, ex-IAS; Justice (retd) RJ Kochar; advocate Berjis Desai and managing partner of J Sagar Associates; Anil Singhvi, CEO of Ambuja Cements and chairman, Ican Investment Advisors, an agency specializing in the interests of minority stakeholders. This board took over after more than a year of the crisis, which unfolded in July 2013. But this fact was ignored by the MCA and it held responsible the new directors of FTIL for the NSEL payment crisis. The MCA had also alleged that FTIL and its new board of directors are mismanaging NSEL and selling its 26 percent stake in MCX at a loss of `290 crore. On the contrary, it was the FMC that directed FTIL to sell its entire holding (26 percent) in MCX by declaring it as a “not fit and proper” entity. In bureaucratic language, it means a company not capable of running its operations. While investigative agencies established the entire `5,600 crore money trail with 24 defaulters, no evidence was actually found against Shah. 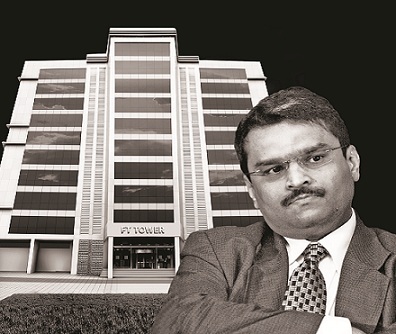 Even the Bombay High Court validated that neither Shah nor FTIL nor NSEL has received a single paisa of the disputed amount while granting bail to Shah on August 22, 2014. The MCA has, meanwhile, been delaying presenting the proposed merger order dated October 21, 2014, before the Bombay High Court following a severe corporate sector and shareholder backlash. Instead, it moved the Company Law Board with the intention of superseding the board under Section 397 of the Company Act to facilitate the merger of NSEL with FTIL. This would make FTIL liable for default payments on the NSEL platform. The FTIL controversy goes back to 2007, when it took electronic exchanges to unchar-ted markets like the Middle East, Africa and Singapore. Here, its bourses created strong financial institutions and the figures traded on these bourses placed them in the ivy league of trusted and coveted exchanges globally. This, according to market sources, did not go down well among competitors. On the home front, a bourse like MCX was competing with top Chinese exchanges in terms of value traded. By 2007, MCX was handling 90 percent of trades across electronic commodity exchanges. The FMC that regulated commodities exchanges was under the purview of the ministries of agriculture and consumer affairs. Instead of approaching these ministries with any concerns about competition, the Ministry of Finance (MoF) decided to talk to banks and institutions holding stakes in the exchange. One bureaucrat who took unusual interest in NCDEX (a National Stock Exchange—NSE—subsidiary) was KP Krishnan, joint secretary in MoF between 2005 and 2010. Krishnan was supposed to be in a regulatory role overseeing the functioning of bourses. However, an RTI application helped obtain a copy of an internal note (given below) from Krishnan, dated Dece-mber 19, 2007, where he expressed concerns about the declining market share of NCDEX in comparison to MCX. It urged the NCDEX management to improve its performance and NSE to increase its ownership of NCDEX. Krishnan further suggested that LIC and NABARD (both government-controlled bodies) should be asked to relinquish their shares up to 5-6 percent each in favor of NSE so that it could become a strong anchor investor (one with maximum say in a company) in NCDEX. This letter raised questions among market analysts whether both NSE and its subsidiaries were under the then government’s protection. A detailed questionnaire sent by India Legal to Krishnan on August 23 about his alleged involvement in the FTIL crisis remained unanswered. In such a climate, it was sacrilegious on the part of Shah to think he could beat NSE in the exchange market. The writing was clear on the wall—it would be a matter of time before Shah entered the stock market, challenging NSE’s numero uno status. To Shah’s credit, he had fought many corporate and legal battles to realize his dream of starting commodity, electricity, equity and currency exchanges. And he often outwitted competitors due to his quick thinking. But what he did not see coming was a methodical elimination of the empire he had so assiduously built over two decades. In Delhi, official rumor-mongering began to paint Shah as a buccaneering industrialist. SEBI and RBI had opened up the currency derivatives trading in India and stock exchanges were allowed to seek a license for trading in this asset class. Expectedly, FTIL—together with MCX—applied for a stock exchange license. It was granted, with permission only for currency derivatives segment. The crucial stock-trading segment, however, was withheld. MCX-SX came into being and very soon, beat NSE in the currency derivatives segment. The first move happened from Delhi. The finance ministry started pushing in a series of policy measures to protect the monopoly of NSE, starting with a cap of five percent on an owner of a stock exchange. Even persons acting in concert were to be clubbed within the five percent. Only banks were allowed extra ownership. NSE played under the rules and resorted to questionable pricing. MCX-SX challenged it and won a case in the Competition Commission, which slapped penal damages on NSE. Not to be outdone, SEBI kept on denying MCX-SX permission to trade in equity stocks for three years without assigning a reason. Finally, it was the intervention of the Bombay High Court and the Supreme Court that forced SEBI to grant permission to MCX-SX to trade in equity stock. SEBI had earlier declined to grant a licence to MCX-SX to launch equity trading platform. And then, one evening, the rivals of Shah got an opportunity to get him. The NSEL payment crisis hit the markets, giving them a golden opportunity to annihilate FTIL and Shah. Krishnan’s letter, mentioned earlier, suggests how the finance ministry—then under P Chidambaram—became the strategist and key enabler for NSE. “It showed the ministry was not neutral and that it would do anything to ensure NSE retain its monopoly. Killing competition was no crime if FTIL and Jignesh Shah can be annihilated,” said a top ministry official. 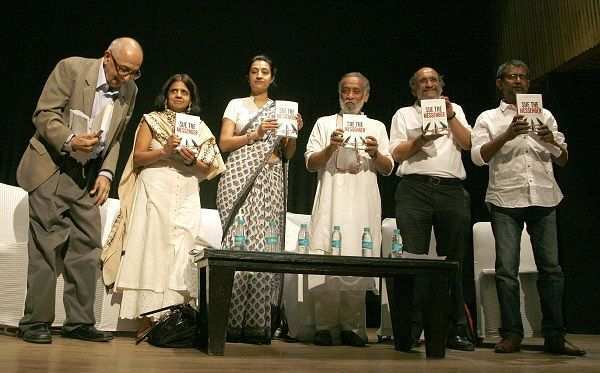 The official, who spoke on condition of anonymity, said Krishnan’s letter was the first step towards “destroying Shah and his empire”. And then came the payment settlement crisis at NSEL. “All actions taken against it by the government post this crisis at the end July 2013 were part of the ‘Finish FTIL Plan’. Who is bothered about small traders who have lost their money?” the official further said. But Krishnan was not alone. Helping him was another powerful bureaucrat, Ramesh Abhishek, who ran the FMC. In Mumbai, stock market brokers say FMC is one of the most confused, uncertain and vacillating regulators in India and it was hardly in a position to sit in judgment over FTIL and declare its business “not fit and proper”. In April 23, 2012, the finance ministry wrote to NSEL on the advice of FMC that certain contracts traded on it were in violation of Foreign Contri-bution Regulation Act (FCRA). Players in Mumbai’s financial markets were surprised. When an exemption is already provided to those contracts from the “operations of the provisions of FCRA” under a Gazette notification of June 5, 2007, then how could these contracts be violating FCRA terms? But FMC had no clarity on this issue. On July 19, 2013, it wrote to the finance ministry saying the exemption gazette notification was “silent (read not clear) on the status of exemption—whether it was a general exemption or it was for specific provisions of the FCRA—to the contracts at NSEL”. This was a tacit admission that there was nothing illegal about the contracts at NSEL. Nonetheless, NSEL responded to a show cause notice from the finance ministry on May 23, 2012, explaining its position. The government did not respond. A reminder followed from NSEL on October 18, 2012. But the ministry did not respond. After a long wait, on July 12, 2013, the finance ministry asked NSEL to shut down these contracts immediately. The order to close the market immediately, courtesy FMC, was catastrophic, to say the least. It created total panic, leading to a settlement failure of `5,600 crore. Panicky brokers were livid, wanting to know that if FMC was not clear on the status of the exemption and on what basis did it issue the show cause notice to NSEL. Also, why didn’t it ask the market to be closed in May 2012 when the crisis was first reported. That, they said, would have led to a payment settlement crisis of just `2,000 crore. (In 2012, the total volumes of trading on NSEL hovered around `2,000 crore.) The FMC, however, did not respond. It was clear to many that the crisis had happened purportedly because the stocks that were sold were absent and a payment failure was obvious. Worse, the brokers, who enticed their clients to trade, later went on record having inspected the warehouses and confirming adequacy of stocks. So where did the stock vanish? The brokers did not answer. NSEL also instituted an internal enquiry and charge-sheeted errant officials. Shortly thereafter, the then MD, Anjani Sinha, was suspended as also some other officials. The government machinery swung into action and implicated Shah and all other directors on the board of NSEL. it was not able to find any money trail against Shah. The reality was the opposite. Shah had visited the offices of EOW 21 times, though he was called seven times. He even opened up a mini NSEL office with computers at the premises of EOW to help track the missing cash. And despite keeping him in custody for 108 days in a jail outside Mumbai, EOW did not interrogate him and confessed the same before the Mumbai High Court, saying they did not find any money trail to FTIL, NSEL and Shah. The judge then granted Shah bail. A forensic audit was ordered on NSEL by FMC. The auditor submitted its report without seeking the NSEL management’s view. Using the draft audit report, the FMC declared Shah, two others and FTIL “not fit and proper” to hold any position on the board or the management of any exchange. Surprisingly, the report had a disclaimer that it cannot be used for any judicial or criminal process. The order has been challenged in the Bombay High Court and the hearing is yet to take place. And FMC, without waiting for the judiciary to complete the process, forced FTIL to reduce its holding in MCX to a maximum of 2 percent. On October 21, 2014, precisely two days before Diwali, Krishnan—who was on the verge of being shunted out of the finance ministry because the NDA regime had swept to power—invoked a rarely used legal provision in order to force FTIL to merge with NSEL. This move set a dangerous precedent as it would have destroyed the value of an estimated 63,000 shareholders of FTIL who voted against the merger in an open ballot. The move would have also saddled Shah’s flagship company with the balance of defaults and crushed it. Shah, an avid reader of biographies of JRD Tata and Sony co-founder Akio Morita, was tired and devastated. He believed his success was unpalatable to the mandarins of the finance ministry and he was not a popular person for the powerful business elite of south Mumbai. In July 2014, FTIL agreed to sell its remaining stake in MCX to Kotak Mahindra Bank, and Shah was forced by FMC and other regulators like SEBI and CERC (Consumer Electricity and Regulatory Commission) to divest from many of his other exchanges. Corporate India was flummoxed. How could the Indian government kill something so successful, a product which could have been part of Prime Minister Modi’s “Make in India” program? If the objective of FMC was to disallow FTIL any say in the management of MCX, it could simply have asked it to recall its directors on the board of MCX and put a stay on FTIL voting rights. But the game plan seemed larger. As of now, FTIL has exited from all exchanges, incurring losses running into thousands of crores. Even as the FTIL has challenged the government order and the courts are debating its validity, there is yet another government order to take over the management of FTIL by force. The writing on the wall is clear. If the FTIL management is replaced by government nominees, there would be no one in it to challenge future orders. Worse, the ministry claims there are 13,000 “investors (actually trading clients)” who have lost their money. Thereafter, and based on permission from the Bombay High Court Committee, NSEL wanted to establish the identity of each client in its record. But the brokers, it is reliably learnt, advised their clients to decline any information. Brokers too were under the scanner and directors of three leading brokerage firms were arrested too. As per investigating agencies, top brokerages indulged in serious malpractices such as proxy accounts, rampant client code modifications and PAN lending amongst others. Some trading clients have also filed cases against their brokers, accusing them of wrongfully conducting illicit trades on their documents. The malpractises of PAN lending and client code modification spelt doom for thousands of unsuspecting clients, because these pirated credentials were used by their brokers into creating forged loan agreements, which made unsuspecting clients liable for recoveries several times higher than the amounts they had parked with these brokers. In short, the brokers ensured profits at the clients’ expense. Interestingly, trading clients Sharad Saraf and his son Pankaj, the main complainants against NSEL defaulters, cut back-door deals with certain major defaulters and settled their unclaimed dues. India Legal has copies of the backroom deals. Such deals were undertaken without the knowledge of investigating agencies, courts or affected parties and weakened the stand against defaulters. The logic proffered in favor of FTIL and NSEL merger is that the latter is bereft of any resources and therefore, FTIL resources can be used for settling the liability on behalf of the defaulters. Senior officials of FTIL are worried about the fate of 63,000 well-defined equity shareholders whose cash is involved. Worse, the livelihood of thousands is being jeopardized. But there are no answers. Shah does not talk, nor does he visit the majestic FTIL building he lorded over. People close to him have compared his life to that of Abhimanyu, son of Arjuna, who was pushed into chakravyuha (cubicle) by the Kaurava kings and killed mercilessly without defense. Shah lives in hope and wants to rise like a phoenix from the ashes. When he meets people, he shares his next vision—to create 108 digital disrupters for 12 different industries that will create India’s biggest digital wonder and sustain the nation till 2025.